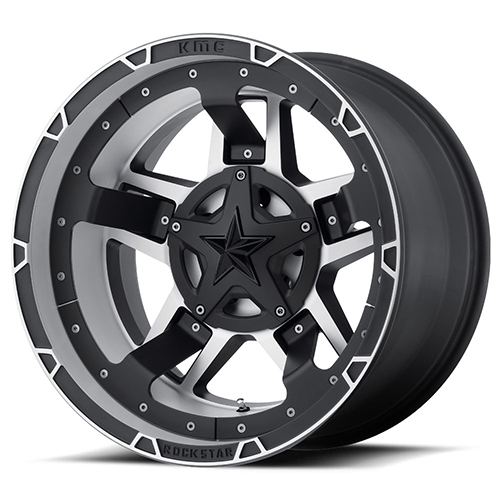 You can buy the Rockstar by KMC Wheels XD827 Rockstar 3 Matte Black Machined With Black Accents 18x9 5x139.7 5x150 00 offset 110.5 hub wheels from All Star Motorsports at some of the lowest prices on the web. The Rockstar by KMC Wheels XD827 Rockstar 3 Matte Black Machined With Black Accents 18x9 5x139.7 5x150 00 offset 110.5 hub wheels are available in a variety of sizes and finishes. This wheel can be combined with any tire option to create a wheel & tire package to take advantage of our free shipping within the continental U.S. We don't stop at just free shipping. We mount and balance every wheel & tire package for free. We also include a free set of lugs and locks guaranteed to fit your vehicle. Need hub rings too? Don't worry, we also send you those for free. Most modern vehicles require the use of tire pressure monitoring sensors (TPMS). With the correct year, make and model, we can get you the exact sensors you need and program it for your car or truck. In some cases we may require your vehicle identification number (VIN) in order to acquire the correct sensor. We are your one stop shop for wheels & tires. Don't worry about the fitment. Let us take care of that. Put our years of experience to work for you. Give us the year, make and model of your vehicle and we will make sure your selection is guaranteed to fit. Already have a modified suspension? No problem. Let your sales agent know what modifications you have already done and we will get you the best fitment available. Performance, plus quality is what you deserve. Come to us for the All Star treatment. Contact our sales agents should you have any questions.